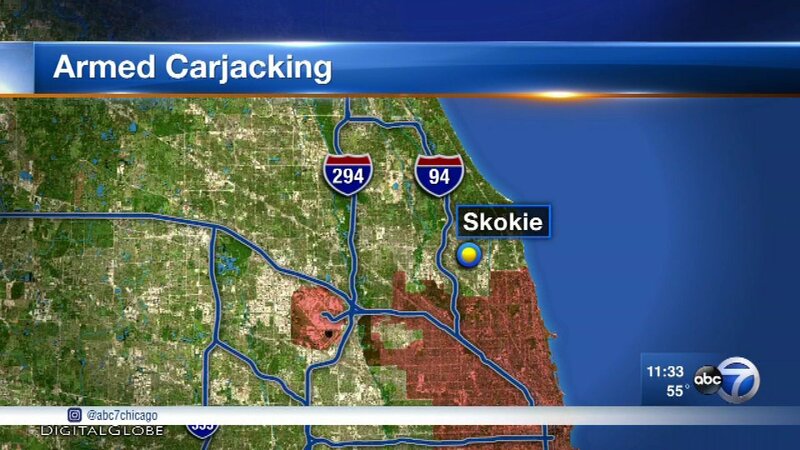 SKOKIE, Ill. (WLS) -- Police are searching for two suspects who stole a car at gunpoint in a north suburb Thursday night. Police said the armed carjacking happened around 11:53 p.m. at 8307 Crawford Avenue. Police said the male suspects were wearing ski masks and black jackets when they took the car. They said one man had black gloves on and was armed with a handgun. The car owner was not hurt and police said the investigation is ongoing.